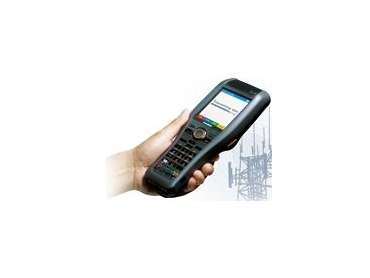 Casio and ASP Microcomputers have introduced a new-generation of industrial handheld data terminals, the DT-X30 Series, specifically designed for people and businesses on the move. Casio and their Australian mobile business solutions partners, ASP Microcomputers, expect strong interest from the transport and logistics industries and in areas where real time data capture and communication is needed. In transport and supply chain logistics applications, the DT-X30GR-30C enables the head office to collect and receive information in real time from their drivers. The new Casio terminals are equipped with wireless WAN (EDGE/GPRS/GSM) and GPS, as well as an on-board digital camera. Staff members can receive notification of loading and delivery completion from drivers as well as the vehicle’s exact location through GPS. This information enables management to achieve greater efficiencies by, for example, dispatching the nearest driver to pick up goods from a customer or store wishing to send or pick up a consignment. National providers of business technology solutions, ASP Microcomputers believe that productivity and efficiency gains are possible with these new Casio handheld terminals. ASP Microcomputers’ added value association with Casio means that they can access proven Casio technology and tailor it to their individual requirements by in Australia. The new DT-X30 Series 2.0-megapixel digital camera, featuring auto-focus, enables drivers to capture images and send them back to base in real time, such things as the condition of consignments or signed delivery receipts, ensuring office staff and clients have an accurate understanding of the situation on the ground. The development of the Casio range also carefully took into consideration the drivers who will actually carry and use the camera. The grip-type shape is easy to hold and key input and scanning is effortless. The display uses a Casio 3.5 inch advanced 2-way colour LCD. The DT-X30 Series 2.0-megapixel digital camera is durable and performs in a variety of tough environments. For example, it is IP64 rated dust/splash proof and can withstand the shock of a fall of 1.5m and has an operating temperature ranging from -20 °C to +50°C. There are five models in the DT-X30 Series, which can be used in a wide variety of commercial applications. Apart from courier or parcel delivery management, other applications include direct store delivery management, parking enforcement, traffic infringement citations, meter readings, inspections and warehousing. High capacity battery (7.4V, 2,000mAh) and low power consumption design result in long hours of continuous use.